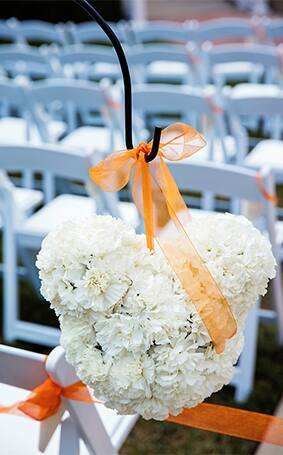 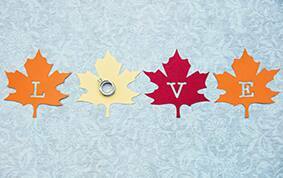 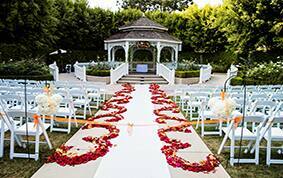 Disney's Fairy Tale Weddings & Honeymoons invites you to "fall" in love with fall this season. 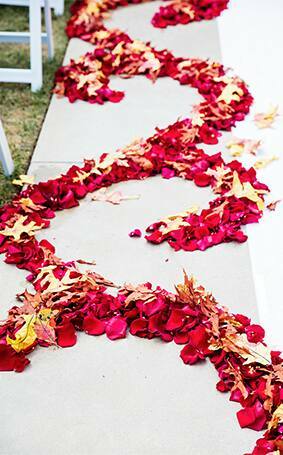 Showcase nature's incredible display of burgundy, deep reds and warm yellows at your wedding ceremony by incorporating golden leaves and rose petals along the aisle or carry some of fall's best colors in your bouquet. 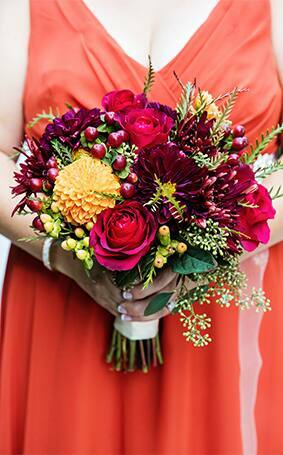 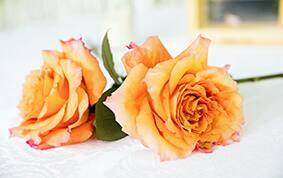 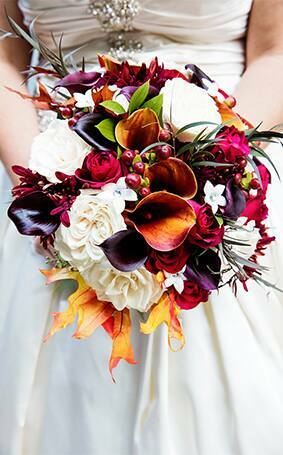 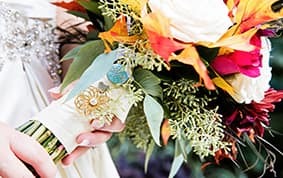 These deep rich colors are sure to bring a bit of fall's coziness to your "I do's."